Though the deputies are looking for any criminal, nearly all of the arrests are for drug-related crimes. The 5 Freeway, they say, is a pipeline for cartels to move drugs up the West Coast and return to Mexico with cash from drug sales as well as weapons purchased in the U.S. Although The Times’ review of department data shows that 74% of the drivers he pulls over are Latino, Leitelt said race or ethnicity does not influence whom he chooses to stop. He later declined to comment on The Times’ analysis of the team’s stops. In deciding whom to stop, Leitelt said, he looks for certain behavior, such as drivers traveling at or below the speed limit and then hitting the brakes when they see his cruiser. He also tirelessly “kills plates” — cop jargon for running license plate numbers through a state law enforcement database on his in-car computer. Cars with expired registrations, a man driving alone in a car registered to a woman, or an older car with a recent registration will get closer attention, he said. Once he sees a car he believes is worth checking out, Leitelt needs a valid reason to make a stop. That can include any minor traffic violation, such as speeding or crossing a lane line without signaling. To prolong a stop and continue questioning a driver, Leitelt and other law enforcement officers need reasonable suspicion that a crime is being committed, a legal bar that the U.S. Supreme Court defined as something more than a hunch. They can search a vehicle if the driver gives permission. Otherwise, an officer needs probable cause — where the facts and circumstances indicate a crime is being committed. The smell of an illegal drug, a weapon lying on a seat or a police dog outside the car signaling the scent of drugs inside can be enough. As he was on his way back to the station at the end of his shift, Leitelt noticed an old Volkswagen Beetle struggling up a hill in the middle lane. The deputy drove up alongside the car and saw a young Latino-looking man behind the wheel. The deputy dropped back and slid in behind the car. Tapping the California plate into his laptop, he saw the vehicle had new license plates and was recently registered to someone who lived several hours north. Leitelt noticed the windshield was cracked — a violation of the state’s vehicle code and legal justification to stop the car. The man, who said he spoke no English, explained in Spanish he was driving slowly because the car’s engine was old and “didn’t have any heart.” He said he worked in California and was making his way to Mexico to visit his young daughters. The man seemed fidgety and nervous to Leitelt. With traffic zooming by, the deputy instructed him to get out and walked him to the back of the Volkswagen. Leitelt asked in Spanish whether he was carrying methamphetamine. Heroin? Cocaine? Marijuana? A large amount of cash? The man repeatedly said no, and his voice and expression remained unchanged — usually a sign, the deputy said later, that someone is being truthful. But Leitelt also thought the man was avoiding eye contact, which he interpreted as an indication of possible deception. Leitelt and another member of the highway team did a quick pat-down of the man’s clothes for weapons and then put him in the back of a patrol SUV. “He’s super nervous,” Leitelt said. Leitelt wondered aloud if the driver feared the deputies would ask him about his immigration status. Nonetheless, he pressed ahead, opening the car’s hatch with the man’s key and unzipping his suitcase. Inside were neatly folded clothes, including new dresses for young girls, and some greeting cards. Thinking the suitcase could be “a prop,” Leitelt kept going. Using an assortment of prying tools, he and the other deputy popped off a section of the dashboard in search of a hidden compartment traffickers sometimes build. When a density meter dubbed “the Buster” gave an irregular reading on the passenger-side door, Leitelt knocked, peered down into the window well and swung the door open and shut several times before deciding there were no drugs hidden inside. The stop lasted about 15 minutes. The deputies walked back to the SUV and opened the door. “OK, adios,” the other deputy told the man, making a shooing gesture with his hand. Without saying a word, the man walked back to his car and drove off. Allegations of racial profiling by police are common, but researchers using data on traffic stops say it is difficult to show definitively that officers selectively target one race or ethnicity. In the case of the Sheriff’s Department’s highway team, experts said using the population of L.A. County, which is 48% Latino, as a benchmark would be misleading. Ideally, they said, they would want to know the racial breakdown of all drivers on the particular section of the 5 Freeway. But the fact that Latinos made up such a smaller percentage of stops by CHP officers along the same stretch strongly indicates that the Sheriff’s Department team was targeting the group, said several racial profiling experts who reviewed The Times’ findings. “No matter how justified the stops are, this is what we call selective enforcement,” said Jeffrey Fagan, a Columbia Law School professor who was an expert witness for plaintiffs in a federal civil rights lawsuit against the New York Police Department over its now-defunct stop-and-frisk policy. Orange, Riverside and San Bernardino counties’ sheriff’s departments have similar highway enforcement teams. In response to public records requests, officials in Orange County said the Sheriff’s Department does not collect racial data on traffic stops. The other two agencies refused to release data. The federal Domestic Highway Enforcement program drew criticism in recent years over concerns that teams were using stops to improperly seize cash and other property from motorists. 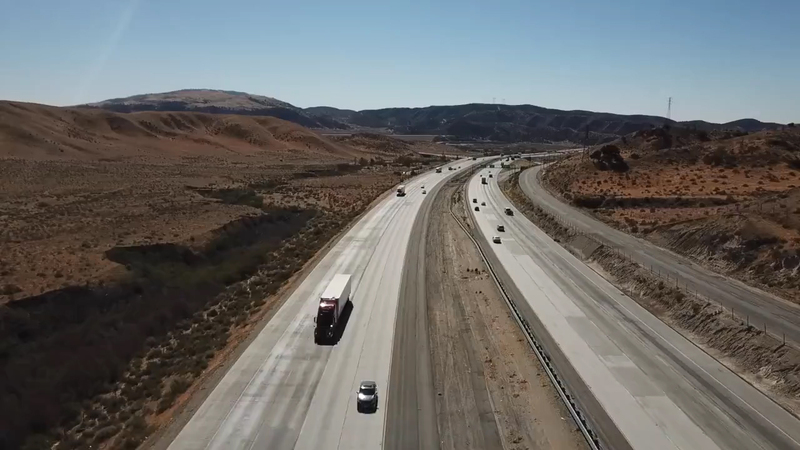 In California and elsewhere, defense attorneys have challenged stops, arguing that the highway teams overstep constitutional lines. In 1999, drug searches by a group of CHP officers during traffic stops led to a lawsuit alleging racial profiling of Latino drivers. To settle the claims, the department banned all officers from asking drivers for consent to search vehicles for several years and retrained them on racial biases. Douglas Wright, executive director of the National Criminal Enforcement Assn., a nonprofit group that provides training to highway teams, described such units as an effective tool for finding drug traffickers. He said they also help deter unsafe driving whether or not they search vehicles and find anything illegal. His organization, he said, teaches officers to avoid any profiling. “All races, all genders and all people are capable of committing these crimes … smuggling these drugs, guns, humans,” he said. Have you been stopped by L.A. County sheriff’s deputies on the Grapevine? Get in touch with the reporters at joel.rubin@latimes.com and ben.poston@latimes.com. Asking drivers for permission to search a vehicle is a commonly used method for police to check for contraband when officers lack the type of evidence that would legally justify a search without a warrant. The U.S. Supreme Court has sanctioned such searches, viewing consent as a straightforward green light from drivers or passengers to proceed unless there is evidence of coercion. The Times reviewed data from nearly 4,500 searches conducted by the L.A. County Sheriff’s Department’s highway team and found that about 75% were based on consent from drivers or passengers. Some legal scholars have raised concerns about police routinely seeking permission to search. In Rhode Island and New Jersey, police are prohibited from asking for consent to search a car unless they have reasonable suspicion of a crime. Data for all types of searches by the L.A. County team show that deputies found contraband in 20% of vehicles driven by Latinos. For black drivers, contraband was found 18% of the time; for whites, 16%. Those differences were not significant, according to a regression analysis conducted by The Times. The Sheriff’s Department’s highway team has run into trouble in federal court, but not because of racial profiling allegations. In nearly two dozen cases filed by U.S. prosecutors, no judge has ruled whether the team is selectively targeting Latinos. Instead, the deputies’ tactics and credibility have come under fire, resulting in 11 cases being dismissed. In one, attorneys for a man caught with 38 pounds of cocaine and 8 pounds of heroin argued that Deputy Adam Halloran illegally prolonged the stop to grill the driver about whether he was carrying drugs. In his ruling, Whaley said the team’s mission seemed certain to lead to more illegal arrests. “A policy of the police to create a department to make traffic stops only to seek consent or probable cause [for a search] is troubling,” he wrote. Seven more federal cases were dismissed amid questions over the credibility of one deputy, James Peterson. Defense attorneys questioned the cases against their clients by pointing out that Peterson had been disciplined in the past for misconduct that involved dishonesty and that a federal prosecutor had once raised doubts about Peterson after the deputy changed his account of an arrest. Peterson was reassigned from the highway team last year. Defense attorneys have also challenged claims that deputies can tell whether a motorist is concealing drugs by their responses to simple questions. When the driver, Mario Manjarrez, told Vann he had been visiting family in Los Angeles and pointed toward the city, the deputy saw the gesture as “an anchor point movement,” which he said criminals use to distract officers. In this case, Vann concluded, Manjarrez had been struggling to recall a made-up story about visiting family and pointed toward the city in an attempt to seem more confident. When the motorist took a step away from the car, the deputy wrote, it was an unconscious attempt at “distancing himself” from what was inside. And the fact that he switched from saying ‘no’ to silently shaking his head when asked if he had methamphetamine or cocaine was reason for Vann to suspect he was carrying the two drugs. Manjarrez’s lawyer questioned how handing a license over too quickly could be a telltale sign of deception. She noted that Vann claimed in other stops that it was suspicious when drivers were slow and clumsy in handing over their licenses. And she pointed out that although Vann maintained that Manjarrez’s finger pointing was a sign of a forgotten cover story, the deputy also had said that in other stops he based his suspicions on people who recited their stories too smoothly. Vann argued that each stop was unique and that he had based his suspicion of Manjarrez on all he said and did. U.S. District Judge Philip S. Gutierrez concluded that Vann’s justifications could make any word or movement grounds for suspicion. Prosecutors dismissed the case before the judge issued a ruling on whether Vann’s search of the car was illegal, and Manjarrez went free. Another man caught with 10 pounds of methamphetamine concealed in a tire was let go after a different judge ruled that Vann violated the man’s constitutional rights when he kept him detained without a valid reason. In a third case, a judge upheld the legality of a drug seizure but found that Vann had violated the driver’s Miranda rights. Vann, Peterson and Halloran did not respond to a request for comment made through the Sheriff’s Department. The U.S. attorney’s office declined to comment. Only a small proportion of the arrests made by the highway team result in federal prosecutions, which generally carry stiffer sentences than state charges. In state court, more than 450 people pulled over by the deputies have been convicted of drug transportation and other crimes, according to a Times analysis of court data. About the same number of people arrested were not charged with a crime. Sheriff’s Department officials who oversee the highway team said in interviews they were unaware that any of the deputies’ arrests had fallen apart in federal court. Sgt. Daniel Peacock, the team’s direct supervisor, said the department no longer sends the team’s cases to the U.S. attorney’s office for review. Times staff writers Ryan Menezes and Ruben Vives contributed to this report. You've been arrested by a dishonest cop. Can you win in a system set up to protect officers? Additional credits: Graphics by Swetha Kannan. Produced by Agnus Dei Farrant and Sean Greene. Video edited by Robert Meeks. 6:50 p.m.: This article was updated with comments from a statement released by the sheriff.